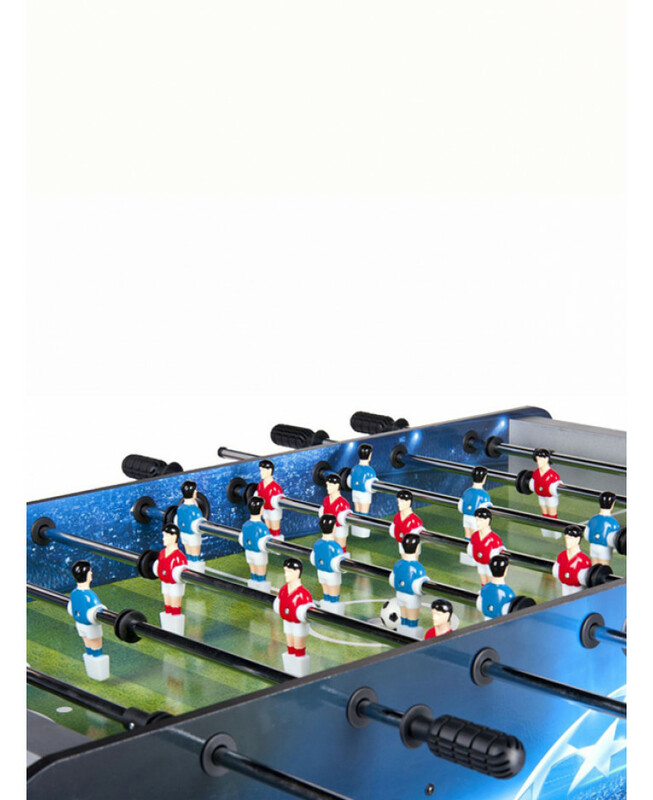 This traditional football table is great fun and allows 2 or 4 players to enjoy the beautiful game together. 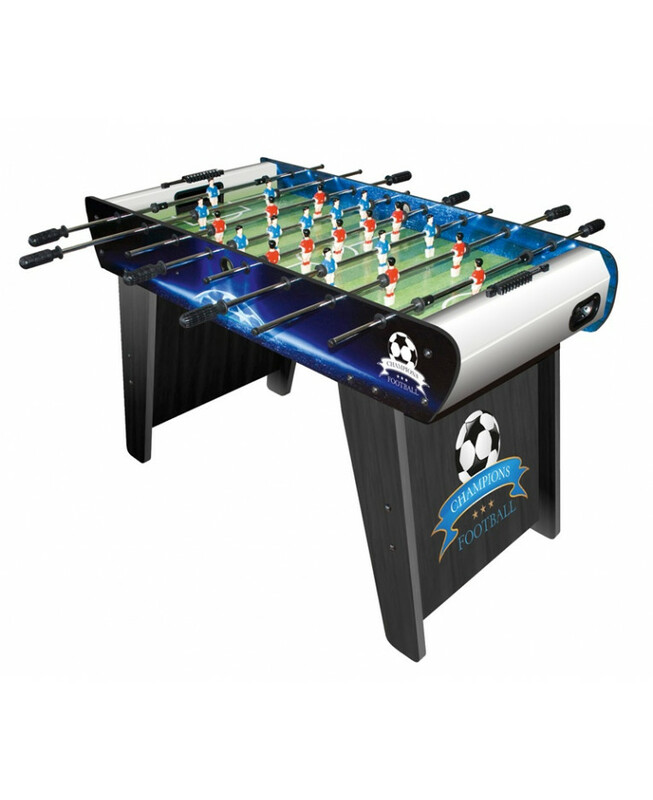 The strong wooden construction ensures stability whilst playing and improves the life of the table. 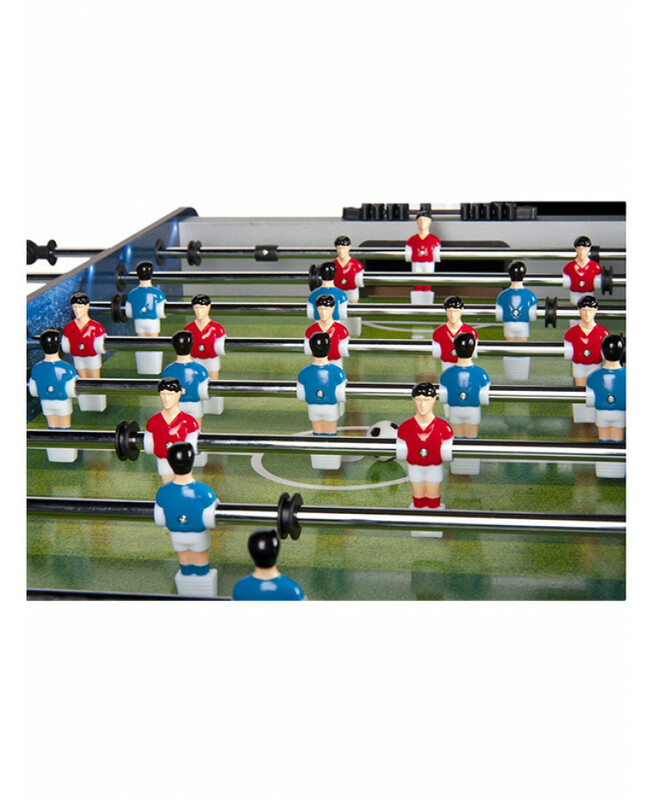 Rubber anti-slip handles ensure you won't miss a trick and the scoreboard makes sure there is no cheating! 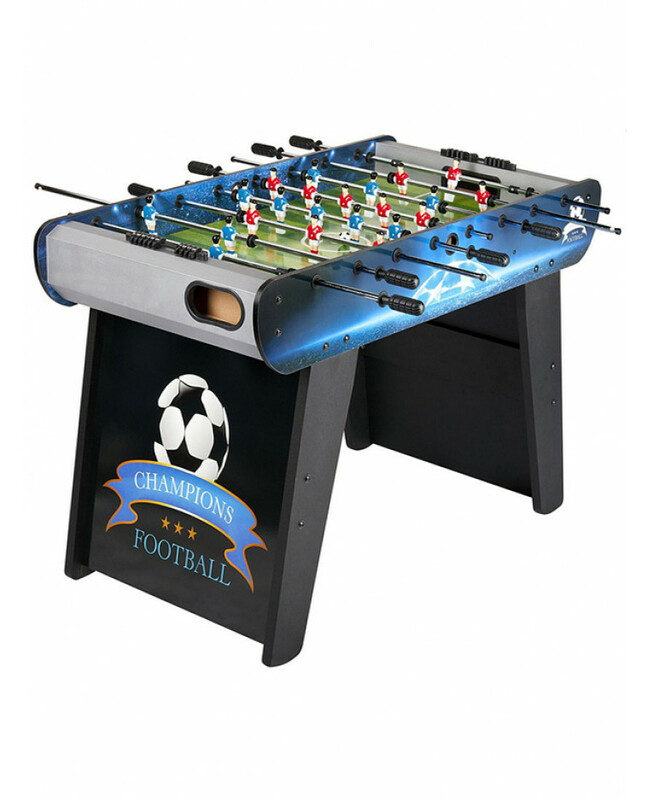 Easy and fast to assemble too, this is the table for champions!